TriLipo treatments are the most advanced solution for non-invasive body sculpting and skin tightening. 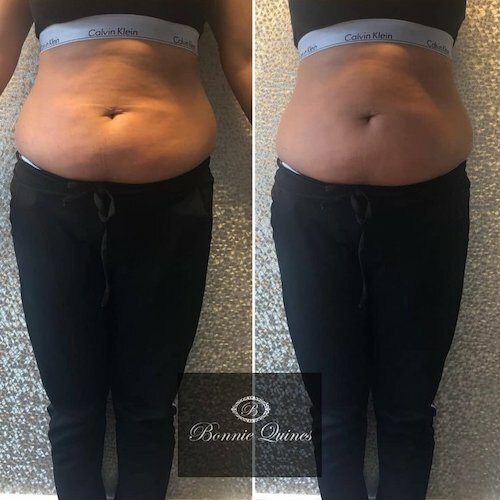 You’ll see immediate results after the first treatment, but for long-term enhanced results it’s recommended that you undergo a series of treatments. TriLipo treatments are clinically proven and are effective on all skin types. Treatment is short, safe and effective and post-treatment you can immediately resume. Perfect for clients who require maximum flexibility. Pay on a rolling basis each time you visit and choose when you recieve treatment to fit your schedule. We advise 1 treatment per week for maximum results. Our 4 treatment care plan is designed to give you the best value for money during your course of treatment. This allows you to purchase a set of sessions at a reduced cost. Less than £95 per treatment. Our 8 treatment care plan is designed to give you the best value for money during your course of treatment. Less than £90 per treatment. releases fat using proven Radio-Frequency energy. The Radio-Frequency heats the fat cells and causes them to secrete liquid fat. reshapes the skin by applying Radio-Frequency energy that causes immediate collagen contraction and long-term collagen rejuvenation. How Does it Work on your Face? TriLipo Radio-Frequency energy heats the skin and causes collagen fibres to contract. This contraction results in immediate skin tightening and improved skin texture. In parallel, the heating triggers fibroblast cells to produce new collagen. This collagen provides the skin with renewed firmness and flexibility. In addition, TriLipo Dynamic Muscle Activation (DMA) technology stimulates and tones the muscles beneath the skin delivering a non-invasive face lifting effect.